I had to do a grocery, or die otherwise. There was a nearby Shopwise in the area and decided to go for it. Its just been my second time to shop here. I needed small stuff anyway. Some canned goods, some condiments, some chips, etc. I'm not all too familiar with the place, so I had to do a lot of walking from one end to the other. Later on, the crews were falling in line and there were loud music all of a sudden. I wondered what the hell was going on. 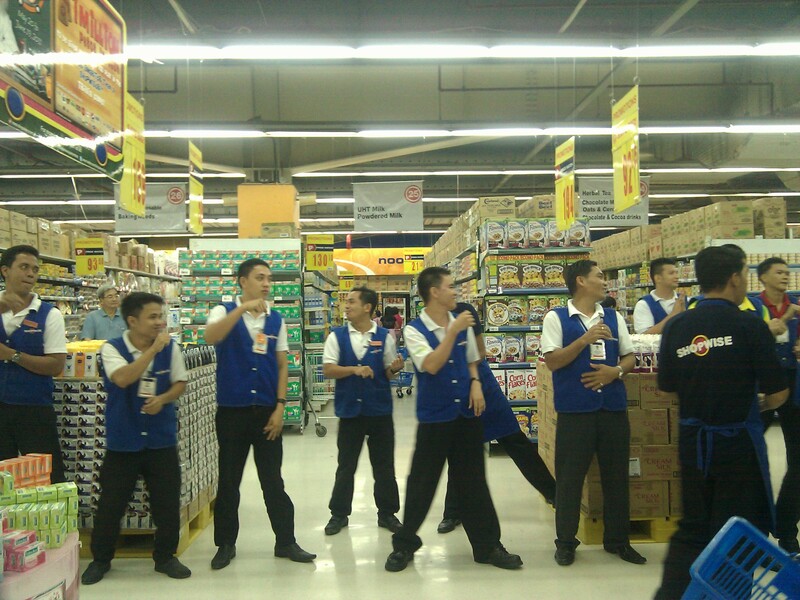 I was almost done with my grocery when I saw them all excited and prepped up. So here they are, trying to make shopping more exciting..